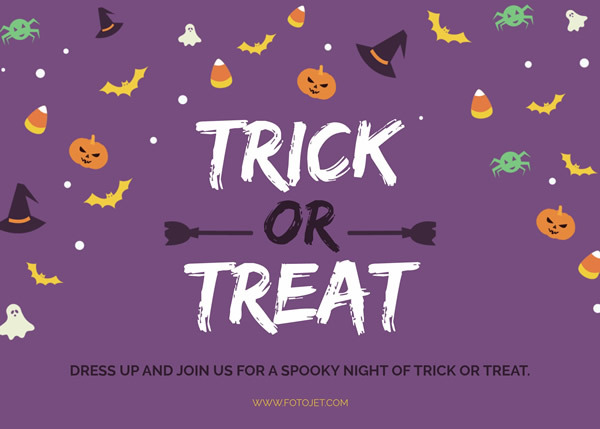 Send some cute Halloween cards to invite more people dressing up for a spooky night of trick or treat. Not professional in graphic design? Don’t be worried. Just get a perfect solution from this Halloween card template. Use this fun and stylish design to customize some Halloween cards using the editing tools and design resources. Adjust the hues on the purple background, reduce or add scary icons, and give the design more personal touches, which will make it easy to modify the template into a card that's uniquely yours.